“I’ve been following M2bH for about 3 months now and have learned a lot about self-improvement…. But there is one thing I never got an answer to: … How can we live on our own and feel complete and happy? … I won’t say I’m an angel who didn’t make mistakes; I lack self-control and have temper issues…. I am a negative thinker and cannot let go of things easily…. Please help me know how I can survive and stay complete on my own? True happiness is not the offspring of ideal circumstances. It is not the result of the way others behave around you or the attention you get from them or the degree to which your spouse or others love and appreciate you. It is not necessarily the absence of troubles or challenges or life’s myriad moments of disappointment or failure either. As a matter of fact, happiness in the midst of great challenge is commonplace. Countless numbers of people are even thankful for the challenges they were obliged to endure because of the lessons about happiness it taught them. So if an emotionally independent life of joy cannot be found in arranging the conditions of life just so, where does it exist? How do we divorce our feelings about ourselves from others attitudes about us? How do we live happy lives despite the trials and tragedies of life or pain from the past? How do we like who we are even when it seems others don’t? Whatever life was like growing up, no matter the difficulties presented by ill equipped parents, you can change what it means to you now. Where we often, almost by default, internalize and personalize the neglect, abuse or otherwise poor parenting to reflect poorly on ourselves to mean we were not lovable or worthy or whatever, we can change those messages. We can shake them out and turn them upside down and inside out and completely rewrite the messages imprinted in our minds and on our hearts. We can toss out the guilt and shame and feelings of worthlessness and replace them with the more accurate interpretation of parental inadequacy, selfishness or psychosis. By reframing what the past means, we can limit how it makes us feel about who we are today. One critical step to putting the past behind us and moving on, freeing ourselves of the pull of the past, is forgiving those we’ve allowed to hold us there for too long. If your parents were subpar parents (or anyone else deeply hurt you), start to view them as deeply flawed human beings who were likely raised themselves by deeply flawed human beings. This way you can move from hate and guilt and anger and rage, to the more subdued emotional response of pity or maybe even compassion for the lives of internal anguish and unhappiness they must have lived as well. Note: This is not to excuse them, but to understand the broader emotional context they operated in as well. Think Jesus on the cross or Gandhi as he was beaten and jailed. This step may admittedly be very difficult for some who suffered (and still do) from particularly harsh parents. If that’s the case, I’d recommend following the link to a guest post I wrote called 12 Ways to Forgive Your Parents for Doing such a Crummy Job of Raising You. You are a remarkable human being of infinite possibility and divine heritage. You are an amazing creation with innate value and worth. You are a being of light and beauty that transcends parental ignorance, amnesia, stupidity or meanness. And you can become who you decide to become. Never again accept the silly message that you are anything less than that. Your identity, as a matter of fact, now comes from other sources. So no matter what someone else says to you, it will fall from their lips, through the floorboards, into the ground, seeping into the emptiness of meaninglessness because they are wrong and you now know it. Do you wait to see if others liked a movie before committing to an opinion one way or the other? Do you promote an idea only after it has passed the scrutiny of public opinion? Do you do the same with yourself? Is your self-acceptance but a mere reflection of others real or perceived opinions of you? Do you get offended or hurt or angry when someone doesn’t like you or says something rude about you? Do others’ opinions about the job you do or the person you are stick to you like cactus spikes in the tender flesh of your heart? If you answered yes to any of those questions, you’re letting others control your internal climate. Stop doing that! There are only two places you should go for acceptance. One is inward. Knowing who you are (#3) will help you better accept yourself, thereby needing external validation much less than before. Work on #7 (see below) will help as well. So accept yourself as a person of immense potential, beautiful in your creation, limited only by the prison bars you’ve allowed others keep locked or that you imposed on yourself. It’s time to free yourself of those restraints! Stagnation does not breed respect. But personal growth does. We admire deeply flawed human beings so long as (and especially when) they make the effort to grow and evolve and develop in areas before undeveloped or immature or just plain bad. As you take steps down the path of your own personal development, you’ll increasingly start liking the person you are gradually becoming, less dependent on others’ thoughts, moods and attitudes about who they think you are (or were). There’s a tool that can be very useful in mapping out a life of independence. It has at its roots a historical pedigree of significant consequence. The tool is to write a Constitution of You! What principles define you? What values do you most cherish? What priorities most excite you? What is your passion? What adds meaning to your life? What is your life’s purpose? What legacy do you itch to leave behind? Let your answers to these questions be the starting point to creating a map to your soul and a commitment to how you will live. In the end, you will become more emotionally independent as you come to increasingly respect the agent of personal growth you become. For additional insight into reinventing yourself, read this article at Advanced Life Skills. I’ve once again beefed the post up with links all over creation. Some internally and a few to great posts that would serve my readers better than an internal link would. The purpose is to provide a rich supply of resources for those who may be struggling with life, looking for answers to life’s challenges. Follow some of the links to see if the added clarity doesn’t help. Have you had a time when you struggled with emotional dependence? How did were you able to achieve emotional self-reliance? I think knowing yourself is the root issue. The rest stems from there. When you understand your values and, very importantly, understand their place in the world, how they relate to other people’s value system, why you hold these values and some others don’t share them and so on – then what goes on around you makes sense and doesn’t seem as personal. The other advice relates to this and is important. But I think knowing yourself is where it all starts. Thanks for sharing your thoughts here, Steve. Much appreciated. The Greek maxim to “Know Thyself” is self-evidently a critical part of living well. It’s the starting point to everything else. Self-ignorance leads us down crooked paths far from what would otherwise produce the greatest amounts of meaning and joy in our lives. It leads to wrong careers, difficult marriages and a life that is more similar to spinning wheels in mud than climbing hills of personal growth and development. Great comment, Steve. Thanks again for sharing it. How can one know oneself without making mistakes? Wrong choices of work, marriage, partnerships, lovers, wrong roads taken, wrong decisions made? Surely inner contentment is not about living the perfect life? Isn’t inner harmony about learning through experience, and finally emerging as a wiser, whole human being, in your later years? And as someone wiser than myself once said, the irony of life is all. – Just as you achieve your M.A. in life skills, it’s all over. I believe the finest and most noble of human beings are those that manage to ‘get through it all’ without doing too much harm to others and with compassion and humour for the life led and for the human condition itself. Someone once told a friend of mine who was considering marriage to run out of gas on a lonely road in the rain far away from anything else and see how she handles the moment. If she gets angry and bent out of shape, run for the hills. If she takes it ion stride, laughs at the ridiculousness of it all, hang on to the young lady, she’s a keeper. How we handle difficulties and challenges certainly reveals lots about where we are in life and our own progression. Still, mistakes are part of the self-discovery and character-building process. But as we learn more about what makes us tick, where our strengths and weaknesses are and what the inner workings of our hearts and minds are, we make fewer mistakes, avoid more pitfalls and stumble less often knowing before hand what circumstances to avoid. I like your summary of the finest and noblest of human beings. Well said, Marianne. Inspiring message. While I agree that knowing yourself is very important, those who continue to carry emotional baggage from childhood and previous life traumas may agree with me that in order to truly understand who you are and what you want from this world now, you have to do the work to clear the past. I remember many years ago attending one (and only one!) group therapy session for adult children of acoholics and how the most shocking and disturbing thing for me was listening to all these poor tortured souls who day after day relived the nightmares of their youth. I’m in no way attempting to make light of that – I have a few memories of my own – but I have come to believe that while there is nothing I can do to change the past, I am in control of my future and I choose to live it on my terms rather than clinging to ghosts. So glad you think so, Marquita! Thank you. What you say is so true. When our pasts are full of nightmarish memories that keep gurgling up to the surface of our lives, it becomes increasingly obvious that we have to take a look backwards and deal with some skeletons in closets. I also agree that when we keep regurgitating the past indefinitely, we relive that past and reinforce it’s ugliness, never quite learning what we need to learn from it. We then run the danger of it sinking deeper and deeper into our hearts, plaguing our lives. At some point we will likely find greater peace in taking ourselves today as we are and deciding where we’re going to go from here, then starting on that journey. If we keep pulling the flowers up to check the health of the roots, we will never have much of a garden to look at. We can drive only so far looking through the rear-view mirror, after all. “Give ourselves enough slack” to love ourselves. We are our worst critics, aren’t we! Like you say, so many of us find it easier to love others, be patient with others, forgive others more readily than ourselves. But to the degree we don’t love ourselves, we are limited in the amount of love we have available for others. Thanks for the insight, Deborah! Important stuff! Thanks Farouk. Yes, it is challenging. I wonder if part of the challenge is in knowing ourselves so well and often seeing our potential as so much more than our reality. Perhaps it’s that the disconnect creates emotional dissonance that translates into varying degrees of self-contempt. Great post. I liked what you said about shaking off your bad upbringing to make good choices for your future. Too many people use their childhood as an excuse to under achieve. I know first -hand that it’s possible to rise above all that and use negative influence for positive results. My advice is dig deep for the faith that is already planted within you. It’s there. You’ll find it if you look hard enough. No one is too far gone to realise their dreams and goals. God has helped me with so much in my life. PS. What is ook? 🙂 or is it a typo? I think it’s probably very difficult for some people to ever see past the neglect or abuse or whatever it may have been about their childhoods that made life so very difficult for them, to see the possible. They feel so imprisoned by the memory of the past. It’s therefore hard to get to that point where you accept the reality of life and to start taking full and total responsibility for our lives, when for so much of life, blaming others for our failed conditions, was commonplace. I agree that faith plays an important role in all of this. It tells us who we are and therefore what we can do and where we can still go no matter how degraded life may have become. On another note, I can’t believe you’ve never heard of “ook.” Everyone who is anyone is talking about it these days. Haha! Just deleted it. Thanks for seeing that typo — I didn’t! No idea how that slipped in or what it was doing there! I don’t think emotional independence is altogether desirable. Do we really want to be people who can be happy about tragedies and the early death of loved ones? I think our emotional independence comes from staying with our feelings, expressing them, knowing our triggers and responses. As we meet our own needs we find a more emotionally satisfying way to live I think. Thanks for the comment, Evan. All emotional independence means is that I own my own emotions. I’m not a fragile paper boat floating on your moods and attitudes. I can be happy even if you are angry at me, even if I’m cut off in traffic or someone yells obscenities at me. My day is not ruined just because things don’t line up in my favor. It doesn’t mean we giggle at funerals or smile happily while a child’s body succumbs to the ravages of cancer. But my joy isn’t dependent on the weather or things going my way or the meal turning out just right or the waiter treating us respectfully or the salesman calling at the right time or the spouse using just the right language or the child being as good as yours or my house being as big as yours. It means my mood and my happiness is the product of my thoughts and attitudes. So yes, I think emotionally independence is a beautiful thing, but not ideal, as Steve points out in his comment below. Ultimately, emotional interdependence is ideal, but impossible without the intermediate step of emotional independence. The personal power behind becoming emotionally independent is that we have fewer and fewer triggers in the first place. It’s a totally different way to live. On the one hand, we live in a way as to minimize circumstances that trigger our anger or anxiety or hurt or whatever. On the other hand, we go through life no longer annoyed by those things that used to trigger those feelings. Getting there very well may require us to stay with our feelings long enough to honor them as a vehicle of information and insight into our thinking and the reason for that particular emotional reaction. But ultimately, we don’t want to marinate in them. We want to learn a new way of seeing the world, a new way to interpret others behavior. We want to find a inner security and confidence and strength that no longer crumbles when life doesn’t go our way. Certainly we still hurt when loved ones die and cry and get angry and even fall apart under the weight of life’s more trying adversities. The grieving process still applies. But we don’t get stuck in it. There is a faster turnaround when life falls down on top of us. Hope this clarifies, Evan. Let me know. Hi Ken, I agree with what you and Steve say. ‘Emotional interdependence’ puts it well I think. For me to be alive is to be related and to have agency in how we relate. So being unaffected by what is going on (which independence can sound like) isn’t attractive to me. Good deal, Evan. I appreciate you always making what I say here clearer than before you show up! Ken, thanks for the great article. I would add a couple of things. First, we need to learn to label and accept our own feelings. What are they telling us? If we can honor them by accepting them, we can then learn what they are telling us, and choose to act according to our values, versus feeling controlled by them. Second, once we have achieved a degree of emotional independence, we need to learn the beauty of interdependence: sharing ourselves with other individuals who love and respect us. You’re absolutely right, Steve. And in my initial reply to my reader who prompted this whole series, I did speak to her about emotional interdependence as the ultimate goal, but that emotional independence is a necessary stepping stone to that goal. An independent emotional life is infinitely better than one where every action and mood from others sets us off on a new emotional roller coaster ride, but not as beautiful as one wherein I no longer merely compromise so others can have some of what they want, but that we come to a solution better than the compromise because I sincerely love that person and want her to have what she wants too. The new solution to the disagreement is better than me getting my way because now I feel better knowing the person I deeply love gets something she likes too. She feels better as well knowing she doesn’t get her way to the exclusion of me getting anything I like, but that we both benefit and therefore actually, truly prefer the solution that doesn’t necessarily give us our ideal. But in reality, the ideal is still met (though it has evolved into a new ideal, a higher ideal, actually) because we value each other more than getting our individual way. But since I was addressing this article to a reader (and others in the same emotional boat) who struggles with depression and is searching for a way to find happiness even though life around her is not ideal, particularly in her relationships, I thought it was important to focus on the step that is most attainable. But ultimately, you’re right to bring it up here, and thanks for that, Steve. It was a puzzle with a few pieces left out. Thanks for putting those pieces back on the table. In my last (first) marriage I was totally emotionally depended by my husband, but after I’ve been divorced I just felt free and happy. It took a long time while I got used to my independence, and soon I felt lonesome and useless. It is really important to handle our independence with care, because it can turn into depression. Thanks for that insight, Lena. I think there is a difference between being free of someone’s dominating personality and being truly emotionally indpendent. To be free of someone else is simply to be away from them, no longer subject to their command. But emotional independence requires significant amounts of internal growth. It’s only after that growth that we can then take our happiness with us into whatever set of circumstances we move into (including an unmarried status). Having said that, there is only a limited level of happiness attainable in isolation. I believe we are truly social beings who need sociality and someone to have a special loving and intimate relationship with to thrive at out highest potential. That being said, if we slip into depression without that someone else, we haven’t truly developed into an emotionally independent person. Once there, we can then begin the work that leads to emotional interdependence (as talked about above with Steve). Thanks for that warning shot over the bow, Lena. So glad you’re out of a harmful relationship. How are you doing with the depression? I couldn’t agree with you more on all this Ken. When I read “move from hate and guilt and anger and rage, to the more subdued emotional response of pity or maybe even compassion,” I thought you might have heard what has gone on inside of me. I’ve gone through this exact process with both of my parents. In the process of seeing life through my father’s eyes, I went from seeing him as a big (he’s 6’8″), overbearing, abusive and critical man and being very angry about that to feeling pity and compassion for him as a 12yr. old boy who lashed out and became the school bully because he never received the love and attention that he so yearned for. I felt like I took a quantum leap forward when I realized how much I still acted from a need for acceptance from my parents. Once I decided to break from that and truly live my own life, I went through the process of writing my own Constitution of Paige. With that firmly in my mind and in my heart, all future decisions became much easier and I now know that I’m the only one in charge of saying what’s good enough for me. These are some of those “simple but not easy” things that, if we take them to heart and make them happen in our lives, we come out the other side much, much happier from the inside out. This was a great one Ken! What a transformational shift in your perspective! And then to break free from that need for your parents acceptance! Talking about liberation! So many people never come to that realization and therefore stay trapped in the past, repeating old patterns of behavior and remaining stuck in cycles of frustration in a sort of love-hate state of confusion. I’ve found that most of life falls into those “simple but not easy” categories. And so we keep at it, taking one step at a time into greater depths and higher heights of joy. Thanks so much for sharing a page of Paige (sorry, just had to write that! ;)) and for the insight and wisdom you bring here. Great Post, love the way you connected self-love to emotional independence and forgiveness! Thanks for the great post, Ken! Thanks so much Johanna. Yeah, if we don’t learn to love ourselves very much, we are limited in our ability to live emotionally independent lives. We humans need love. If we don’t get any from ourselves, we will much more likely seek unhealthy doses of it in desperation from others. I agree. 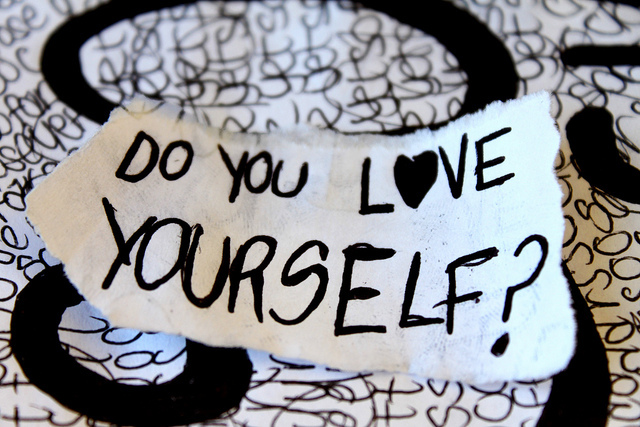 It seems like you can only love others to a degree that you love yourself. We can’t be our own anchor and we get heavily attached to individuals who give us love. Have you ever listened to Brian Tracy’s explanation of self-concept and self-esteem? It’s very closely linked to this and I found it insightful! Johanna recently posted … A Quick Test to evaluate how resilient You are! Thanks for the reference. I’ve listened to a lot of Brian Tracy’s work over the years, but most of it more than 5-8 years ago, so don’t remember any particular statement he made. I’ll look it up on Youtube. Thanks! Great article ! In order for us to achieve emotional independence we need to love our self first, not doing so, will never allow us independence. The questions you mentioned in this article is really a great way to be the starting point in creating a map to our soul and a commitment to how we will live. Yes, it is a process we have to go through but keeping in mind that the end result will be beneficial to us, then it is all worth it. Great article! I’ve also learned that I must “put myself FIRST.” As the flight attendants say, “Put your mask on first before you help someone else.” I need to be able to breathe before I am able to help someone else! I think I want to add that this is not an either-or. You do not have to be 100% emotionally independent (the question was actually ‘how can I be happy completely alone’…not the word ‘completely’), nor is it good to be 100% emotionally dependent. Actually, emotional interdependence would be good. I actually came here because I view myself as overly self-reliant. I don’t trust others to fulfil any emotional need so I do not ask for my needs to be filled. That is, until the ways I attempt to regulate my emotions finally fails on me and I break down into distress and all my usual tools have stopped working, then I suddenly look for support and need more than the average person. So I oscillate between ‘no needs’ and ‘all of the needs’. The most effective and helpful coping strategy in most situations is SOCIAL SUPPORT. There is a lot of research to back this up. You do not need to – nor would it be a good idea – to be COMPLETELY alone. Yes, self soothing is an important thing to learn, and often this comes down to trying to negate a critical inner voice that is intensifying the emotion you feel. People who are very self critical and find it difficult to find the positives in themselves do feel their emotions more intensely – because they are making them worse and worse and worse by criticising themselves – which is why they need more support. So learning to be self-compassionate and assertive is a great way to reduce the pain you suffer, and therefore to feel more independent. BUT, not ever allowing yourself to rely on others, and expecting yourself to be happy COMPLETELY alone is unreasonable. We are social animals, we all need each other, that’s normal. So long as it’s not your only egg-basket – i.e. so long as you have other tools to use in tandem – it’s not in any way a bad thing to rely on others for emotional support. In fact, it’s a very good thing, and a sign of psychological health. Also, I think people look at those who appear happy alone and think that if you were to ask that happy person ‘do you think you will ever be in another relationship/have close friends around you/rather than being alone’ they will say ‘of course’. The reason they are happy – one of the reasons – is because they see their isolation as temporary and are enjoying the journey towards bonding rather than needing it right this second. If you just assume that there are other people around should you need support, or assume you will meet new people, then of course it’s easier to cope with isolation. The trick is not to never need anyone ever. The trick is use both sources of support – external and internal – in tandem. Anon, I think you may have misread the question. It wasn’t how to be happy completely alone, but “How can we live on our own and feel complete and happy?” We’re in absolute agreement that being completely alone cannot produce lasting happiness. I also agree with you about interdependence. That is a higher relationship than independence. But for most people seriously struggling with happiness, interdependence is not an option. They lack the emotional independence to offer another the trust necessary to enter an interdependent relationship. So independence is the necessary step between emotional dependence and the emotional maturity needed for interdependence. And since this was an article in a series of articles related to depression, I felt the intermediate step of independence was an appropriate focus. Thanks for sharing the insight here, Anon. Great comment! So they title says “7 Ways You Can Finally Achieve Emotional Independence”. Further down there is a subtitle that says “6 Ways to Live Emotionally Independent and Happy Lives”. Then the article only lists 5. What’s going on? Thank you for your due diligence in keeping my edited article consistent with my unedited title. I would like to suggest a life changing book. “The Journey from Abandonment to Healing” by Susan Anderson. So thought provoking and fascinating how she breaks down the 5 stages of abandonment. It covers all forms of abandonment and gives real life examples. But its not just about abandonment, its about self love as a replacement for feeling abandoned. Before I read it I felt hopeless but now I feel empowered and know that the woman I long to be is right around the corner. Hope this helps! Is it possible to be emotional independence in a marriage? If yes, how ? God does make junk! If you believe in god, then you know he created Satan, and for sure you know Satan must be junk! God isn’t real, he was created to help those who are afraid of death. You must be intelligent enough to know that an all knowing and all loving god would not father a satan being. He created that evil which means he, god, is evil. You cant create what you are not and if you know ahead of time what you are creating will be evil and you do it anyway… well that certainly makes you evil yourself. Learn to be strong on your own merit, look inside, not to others and not to fake gods. Interesting challenge. The problem is that you think we believe that god authored everything that is. He didn’t. He did not create evil. He created humanity, some of which chooses evil. He honors free choice. In fact, the ability to choose between good and evil is essential for character and morality. There is no moral good in someone having no choice but to do what is considered a kind act. But even kindness can;t be applied if there is no choice but what would be considered kindness is kindness had been chosen among competing options. As for Satan, the Bible references him in Heaven as “Morning Star” and “Son of the Morning” (see Isaiah 14:12), suggesting he was not always evil, but chose to go down that path. So God did not create evil; He created humanity with the potential of choosing evil. In other words, he created a condition where goodness and justice and kindness and love could exist, because only with their opposites as options, is there freedom of choice and morality in choosing the higher way of living in the first place. A world in which evil is not an option reduces us to automatons mechanically acting out goodness without actually really being good. So by creating the possibility of sin, God created the freedom to choose its opposite. And that’s a very God-like attribute. Oh little Ken Wert, I never said he authored everything I said he FATHERED SATAN which the bible clearly states over and over. You cannot be stating you believe only part of the bible and be a Christian. You cannot say god is all knowing and then push it off to humans… when god created all things including evil. There is no god so I’m not going to debate with you. Also, I didn’t read past your first line because you already made so many logical blunders that the rest of your argument cant hold water. No god. Never was one. We’re nothing better than bacteria….. we eat the flesh of animals and are nothing better than any monster. I wont reply to any further comments. Be strong on your own folks, in your own knowing of what is right and wrong, don’t look to others to lead you, do what you know is right in that you harm no other in your actions. That’s all we can do. Wow! Pretty ugly in your condescension. Really no need to get angry or take my reply personally. Two adults should be able to talk to each other without ad hominem attacks or other expressions of peevishness. Your “Oh little Ken Wert” start to your reply indicates littleness on your part. You said God made Satan and that, by extension, means He made evil. That was the gist of what you said, anyway. My comment is that God did not make evil. He made humanity. Some of humanity chose evil. Satan was not always the Tempter of most of the Bible. I was merely indicating that when he was made, he was evidently known as the Son of the Morning. That’s hardly the title of an evil corrupter of the universe. In other words, God made the spirit or angel or person (or however you want to refer to the pre-conflict-in-Heaven Satan) who chose evil, to battle God in Heaven and was therefore cast out. You don’t have to believe what I believe, but why so hostile that I do believe it? Seems very odd to take such an aggressive position against my beliefs. By the way, we all experience relative weakness at different times in our lives, like when we lose a loved one or when some injustice is put upon us, or when economic downturns knock us off our feet. There’s no shame in that. It’s part of life. In our extremities, some people turn to friends. Others turn to family. Others turn to God. I recommend turning to all three. Yes, be strong on our own. God asks that of us too. But in our most difficult times, God reminds us that He is there to uplift, inspire, comfort, strengthen and to help us endure and come out the other end better than before. And I gotta say that your view of humanity is strikingly different than a Biblical view. To say we’re no better than bacteria is a frightening belief. One Hitler believed of Jews. That belief led to some scary historical horrors. To believe ALL humanity are about on par with bacteria and monsters is a scary attitude. We are so much more than that. We are children of God. And that reality implies so much more than most of us can wrap our heads around. And I’ll just ask readers to decide for themselves which view paints a better future and a better life for them: A version of life where humans are no better than germs and monsters or that we are the penultimate creation, that we are meant for higher, nobler, better things, that God expects much from us and will guide us through the moral mud of life?